The cost of solar power in Florida today is less than it has ever been for a number of reasons. First, the incentives offered by the state of FL are as generous as they have ever been. So when you look at the "real cost" of your investment in solar energy, it is actually much less than traditional methods. Mainly because the cost has been mitigated so substantially by state and federal incentives. And the real winner is you, as you will be saving a great deal over the life of your energy needs. The other obvious winner is Mother Earth, and that's always a good thing. There are a number of factors that will determine this cost, such as the size of your home or building, the type of roof you have, and the available space on your roof. One of our trusted techs will give you a full accounting and understanding of the variables affecting the cost in your particular situation. We always suggest looking at this process as an investment and not a cost. When you look at the investment in solar energy products as a cost, you're not accounting for all of the long-term value which is not a cost but rather becomes equity and savings. So although initially you will have a cash outlay, ultimately will have cash coming back into your pocket in the form of monthly savings and equity in your home or business. So at that point it is not an expense, but rather income. 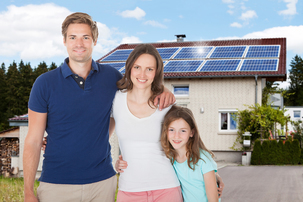 We do realize that many families operate on a tight budget, which is why we make our solar Energy Products among the most competitive in the market. But look of the investment into solar products as an investment in your financial future. So to learn the cost of solar of your particular need, please call Solar Volusia at 386-319-5777 and one of our trusted techs will come to your home or business and provide you with a full and detailed proposal.